Bar stool in two heights to compliment Millefoglie chairs. Beech ply shell veneered in Ebano, Zebrano, maple, beech or textured coloured laminate. 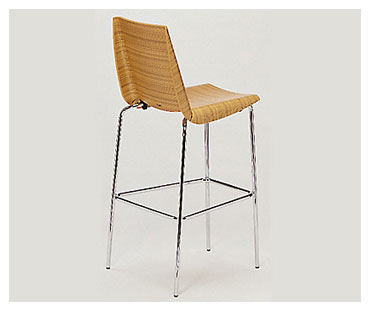 Frame in chrome, stainless steel or alu coloured with or without arms.